Voting is arguably our most precious right. Making sure that the voting process is accessible, fair and secure is one of the most important duties we as lawmakers have. Before the Delaware State Senate is a piece of legislation that in my opinion could significantly undermine both the security and fairness of our elections here in Delaware. The legislation, House Bill 105, would allow for the registration and voting of previously unregistered potential voters on the same day as an election. What level of identification will be required to register and vote on Election Day? A photo ID, a passport, maybe a Social Security card or a birth certificate? Nope. Anyone, a resident of another state or district, a current felon, or someone who has already voted somewhere else could simply walk up to a polling place, show a piece of mail such as a utility bill with a name on it and vote, whether or not they are actually legally allowed to vote in that election. I’m not making this up: no photo ID of any kind is required and no proof will be required that it’s even your mail! Again, all I need to vote will be a piece of mail and I won’t be required to even prove it’s my mail. I asked a computer-savvy colleague how long it would take him to make a fake utility bill that would fool election officials. He printed completely bogus and utterly convincing utility bills with the names and addresses of every State Senator on them in less than 10 minutes. And by the way, under HB 105 you won’t even need the original (or fake original) utility bill: you can use a Xerox copy! Under current law, if someone registers to vote at a fake address or does not live at that address, the Department of Elections will be notified when the voter card sent to that address is returned by the post office. This process is probably the best way to prevent fake addresses from being used for falsified voting and thousands of voter cards come back annually. Under HB 105, there will be no opportunity for the voter cards to be mailed. The potential for abuse in this process is obvious and astoundingly easy to predict. I actually had a colleague in the General Assembly tell me “a little fraud” won’t hurt anything. First of all, that’s ridiculous: any fraud taints our election process. Secondly, a “little fraud” in Delaware goes a long way. We have State races in Delaware where only a few hundred people vote. In the 32nd district primary election in 2012 only 401 people voted. How much “little fraud” would it have taken to steal that election? My point is, in Delaware with so many small elections, we are vulnerable to having the results tainted, especially in Democratic primary elections. HB 105 is also a “solution” in need of a problem. 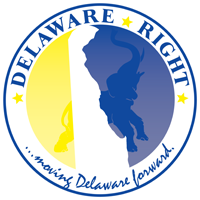 As it stands today, it is very easy and convenient to register to vote in Delaware. You can register at the Department of Elections, the DMV, the Department of Health and Social Services, the Department of Labor, and even online. In addition, there are voter registration opportunities in any number of community organizations and churches. I have organized voter registration drives in many communities myself. In Delaware we should be very proud that we have both a very high voter registration rate and a very high voter participation rate. Delawareans are not being denied access to our political process. Quite the contrary, we have a thriving and inclusive political culture. In addition to the potential for abuse and the lack of need, HB 105 poses very significant logistical problems. Currently, all potential registered voters are checked against the criminal database to ensure that they are not criminally ineligible to vote. This process takes time and is done through secure lines at the Department of Elections and the State Court System. What, if any system will be used at the polling place on Election Day, and will the Department of Elections and the Courts be able to handle this sensitive information in a secure manner? Also, will we see significant increases in the time necessary to vote because the staff at the polls will be busy handling new registrations? What is the fiscal impact in this tight budget year? Obviously, HB 105 will cause significant problems on Election Day. Do I believe that the backers of HB 105 are “out to steal elections” by making voter fraud extraordinarily easy? Certainly not. To be clear, I don’t believe this bill is intended to promote fraudulent activity, but it makes it so very easy to do so. I have no doubt the sponsors and supporters of the bill only have the most honorable intentions. They want to increase access to our political process and I support that effort wholeheartedly. My point is there must be a safer, more secure way to do that. I implore my colleagues to defeat HB 105 and join me in exploring other, more fair and secure methods of improving our electoral process. Colin is right on with his analysis. We’ve had a number of elections in DE that have been decided by less than 10 votes, so what happens when a D loses in a tight race and we find fraud may have occurred in same day voting? If this passes on a party line vote I think the egg will be on the faces of the D’s that couldn’t see the forest for the trees.